Before reading the following tips for effective open house advertising, there are a few things you should consider. Some real estate agents believe open houses are unnecessary because they take up so much time. However, experienced agents know that while most homes do not sell because of open houses, they are a good source for buyer leads. Successful real estate agents either have lots of good listings and/or many qualified buyers. Various brokers require their rookie agents conduct open houses on all new listings. They know it takes time. In the modern age of online information for all listed houses, buyers still like to attend open houses to see them. Attracting good home buyers as clients makes open houses worth it. Besides, sometimes a home sells because of an open house. 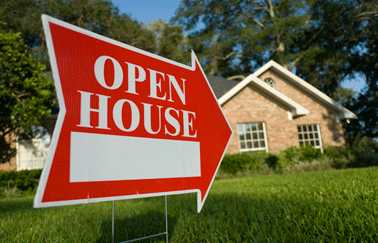 Here are several tips to make your open house advertising efforts more successful. If your company website can build separate web pages for every listing, take advantage by making sure the web page has quality photos of every room in the house, the front and back yards, and any special features. If the URL is too long, use the free shortened URLs at bitly.com or ow.ly. When buyers attend open houses, they tend to take mobile phone photos to remember the house. Give them a flyer with the web page URL so they can see better photos of the entire house online. Advertise open houses on popular real estate sites like Trulia, Zillow, local MLS, and Yahoo and Google portals. Realtor.com lists open houses as a feature, including sales price with directions and maps where you can post. You can also advertise in real estate forums and blogs. Postings on Craigslist.org and backpage.com are free, but only post two days before the open house to be more effective. Include something like “OPEN HOUSE SUNDAY” in the header. Some real estate agents put up at least 20 signs a few hours before the open house on all nearby main streets and all street corners leading to the house. The more signs the better. Besides the standard company “For Sale” signs, you should also have “Open House” signs. In addition, you can purchase sign riders, which are available at home improvement stores. They attach on top of the “For Sale” signs with pre-printed “Open House Sunday” (or Saturday). Yes, colorful balloons next to the signs attract attention. Securely attach them so they don’t fly away. Some cities have private drone companies where you can rent a drone to hover over the house holding an “Open House” banner, which will really draw a crowd. Even the old-fashioned air-filled sky puppets in front of the house get noticed. Some of the best referrals for buyers are the neighbors, who may know a friend or relative they would like as their new neighbor. They provide the best word-of-mouth marketing for open houses. Consider holding a special open house an hour before the public one just for the neighbors. Print up flyers from your computer inviting them to the “Neighbors Only Special Event” and offer them refreshments and finger foods. You can knock on doors to introduce yourself and hand out the invitations a few days before, which will impress them. You should have two Facebook accounts (personal and real estate agent). Advertise all your listings and open houses in your business account. Include a few photos of the home in a boosted Facebook post linking to a landing page where visitors can learn more about the home and fill out a contact sheet for notification when the open house takes place. This is a great way to generate real estate leads for you and draw attention to the open house. Tweet everyone you know with a special hashtag (#) unique to the house. Instagram your best photos showing all the unique features of your open house. Instagram allows you to post images directly to Facebook, Twitter, Tumblr, Flickr, and Foursquare. Businesses use Pinterest to market their products, including listings and open houses. Hold a brokers’ open house (for real estate agents only) on a different day. Make a list of every agent who sold a house in the neighborhood in the past year and invite them. Include all the agents’ offices closest to the house. Serve refreshments and hors d’oeuvres for your guests. This leaves a lasting positive impression. Lastly, don’t forget about old-fashioned advertising. People still read local newspaper classifieds. Community newspapers are also good for placing ads for your open house. Online local and community newspapers are growing and usually have low-priced classifieds. These eight tips for effective open house advertising should help you find qualified buyers and possibly sell the house. For additional advice related to open house advertising, read our previous blog post: How to Conduct Successful Open Houses. And check out RealEstateExpress.com for more great resources.